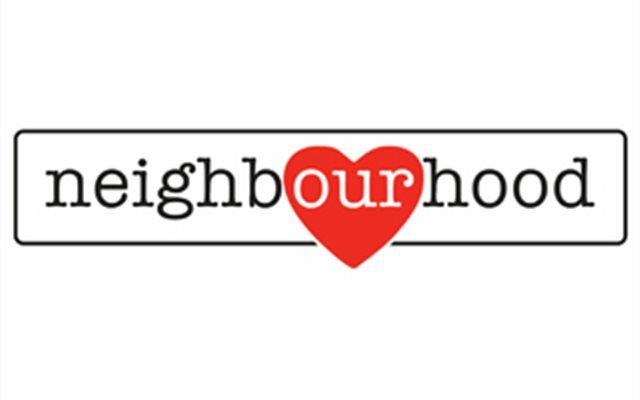 As I'm personally seeking to join God in being good news to my neighbourhood, one of the things I'm seeking to be more intentional about is praying specifically for my neighbourhood.This summer I've added a few things to keep prayer for my neighbourhood more at the forefront of my rhythms. Feel free to try any of these out yourself or add your own ideas below. 1. Landmark prayer prompter - I’ve picked a landmark (a stop-sign) in my neighbourhood to be a prompter, every time I pass it I pray "God, show me where you are at work here." It is a sign that I pass often whether I'm in my car or on foot. As I’ve started praying this simple prayer it has been exciting to see the connections that have been made, the new chats I've had and the things I'm noticing around my neighbourhood. 2. Prayer walk, run, bike or drive – no this is not my secret way of getting you to exercise more that’s just a bonus. On my morning runs I pray for the things I notice as I go. My current route takes me by two schools. Some mornings as I pass I just pray “I pray for the school” and that’s all I got. Other mornings I pray for the principal, the teachers, the students, the students I know go there by name, the future of the school… I try to keep my eyes open to things around me as I prayer walk or run. If I go by a pile of diaper boxes on someone’s curb it gives me an idea what to pray. Prayer walking is great to do alone or with others. 3. Mowing - Mowing my lawn has become a great time of praying for and meeting my neighbours. 4. Prayer Wipe Board - I’ve started a prayer wipe board in my house for my neighbours. As I learn my neighbours’ names I write them on this board so I won’t forget them. I add things I can be praying for them as I learn more about their realities. When I go by the board, I pray for a name or two on the board. However, just a hint, if you neighbours come over hide the board or you might become known as the spy on your street or in your apartment. 5. Neighbourhood map - I have a google map of my neighbourhood that I used to pray for the neighbourhood street by street. You could use a paper map too. I’m try to prayer walk or run each street this summer. These are just some of the things I’m personally doing to keep my eyes, ears and heart open to joining God in His work in my neighbourhood.